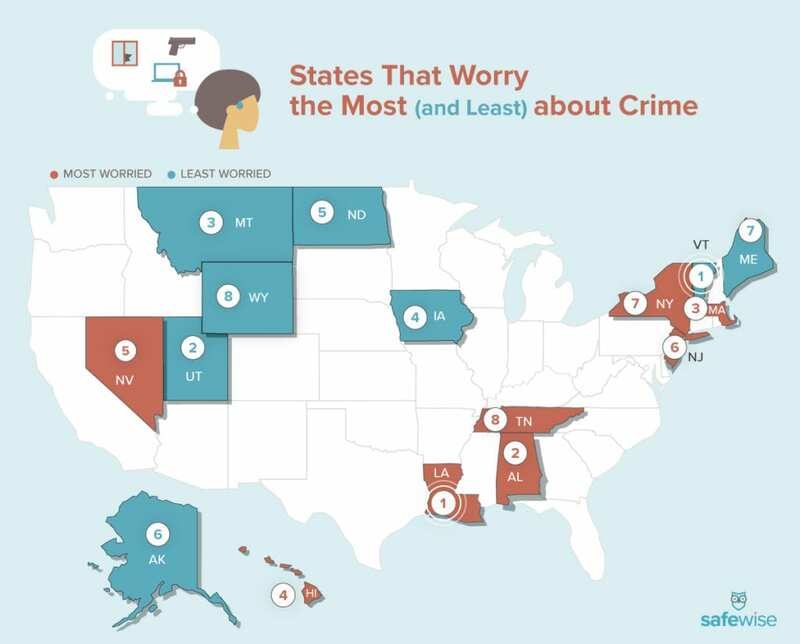 Home Safety News Which States Worry about Crime the Most? Which States Worry about Crime the Most? Outside the narrow walls of Facebook and Twitter, what are people really worried about? Sound familiar? If you live in one of the eight most worried states, those fears might be haunting you and your neighbors. With the 24/7 news cycle, it’s hard not to feel like the world is full of danger. But which issues make us pace the floor, bite our nails, and grind our teeth? SafeWise conducted a nationwide survey to find out. Our State of Safety survey polled residents in all 50 states to find out what’s really keeping them up at night. We tallied up the numbers to identify the states that are the most and least worried about safety issues like violent crime, property crime, and digital crime. Digital security was the biggest worry overall, across both most worried and least worried states. Property crime was the second-biggest worry. Violent crime wasn’t rated the number one worry among any of the states we’ve listed. The majority of states that worry the least are located in Northern latitudes. 50% of the most worried states said digital security is the safety issue they worry about most—and 88% of the least worried states said the same. Being a target of identity theft is the biggest digital security worry. New Jersey and New York both have digital crime rates above the national average,2 but Louisiana has the most people who’ve ever experienced a digital crime—43%. New York and Tennessee are close seconds with 42% each. 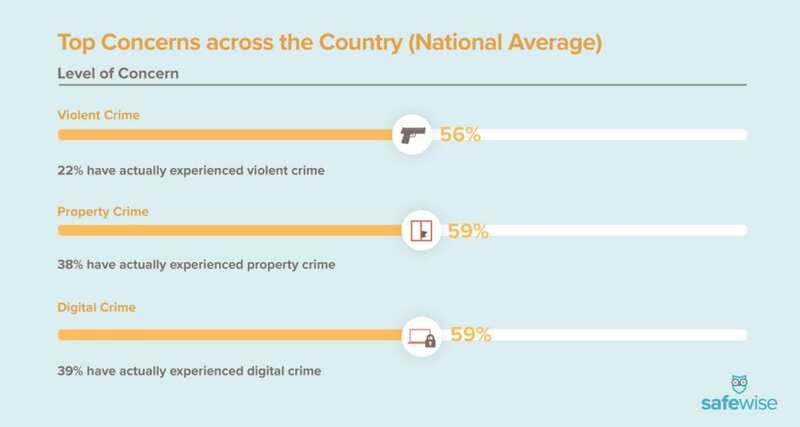 Surprisingly, New Jersey tied with Massachusetts for the lowest number of respondents (33%) who’ve ever experienced a digital crime. 50% of the most worried states said property crime was the biggest worry. Having a break-in while not at home is the top property crime concern. Nevada had the highest level of concern about property crime (73%) and the highest number of respondents who’ve ever experienced property crime (45%). 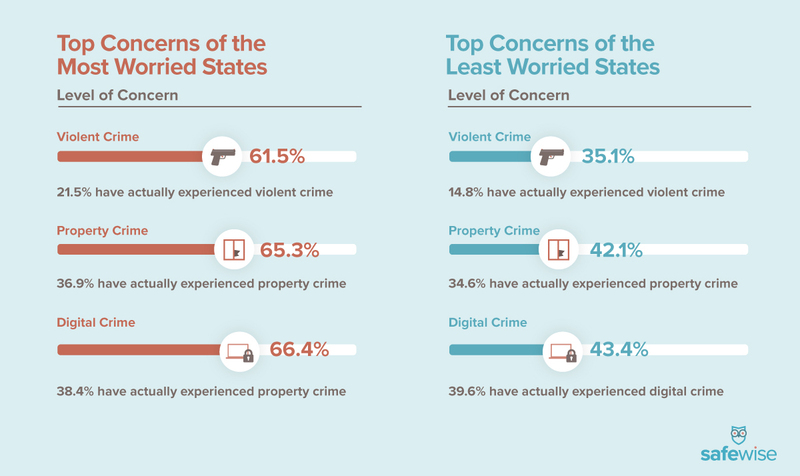 The most worried state, Louisiana, fears property crime the most and 44% of survey respondents have personally experienced a property crime—with 27% experiencing one in the past year. Utah and Alaska are the only least worried states to name property crime a top concern (in Utah it’s a tie between property and digital crime). Although it isn’t the top fear, every most worried state reported a level of concern about violent crime that was 55% or higher. In Louisiana, property crime beat out violent crime as the biggest worry by a mere 1 percentage point—the highest rating for violent crime among all the states on our list. New York is the only most worried state with a violent crime rate that’s above the national average. It also has the highest number of people who’ve experienced a violent crime, 34%—with 13% of those occurring in the past year. In Vermont, the least worried state, only 6% of survey respondents reported a violent crime experience in the past year. But Montana has the lowest rate of violent crime experiences, with zero participants reporting one in the past year. 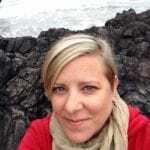 Whether or not you live in a state that’s prone to fretting over the latest scary headline or you call a more laid-back state home, we all give into worry from time to time. Here are some things you can do to quiet those nagging anxieties. Cut down on your exposure to bad news—limit the time you spend watching or reading the news. If you worry about being robbed, take measures to secure your home. Adding a security camera or security system that comes with a mobile app can help you feel safer all the time. To limit worry about identity theft, get a shredder for monthly bills and other financial records, make sure your computer is protected, and regularly check your credit report for suspicious activity. Manage your worries: designate “worry time” every day, write down your anxieties before bed and leave them on the nightstand (or in a drawer in another room), or try meditation or deep breathing to help bring you back into the present and out of your worry spiral. To determine the most and least worried states, SafeWise used proprietary data from a nationwide survey that asked people in each state how worried they were about different safety issues.